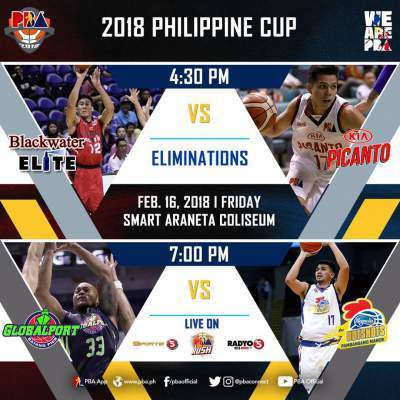 Here is the details for Blackwater Elite vs. Kia Picanto in the elimination round of 2018 PBA Philippine Cup. Michael Vincent Digregorio scored 21 points and John Paul Erram had 17 and 14 rebounds to help the Blackwater Elite beat the Kia Picanto, 95-76. Ronald Tubid had 22 points and eight rebounds, while Reden Celda added 21 and 5 to carry the Kia. Watch the highlights of the Blackwater Elite 95-76 win over the Kia Picanto on February 16.